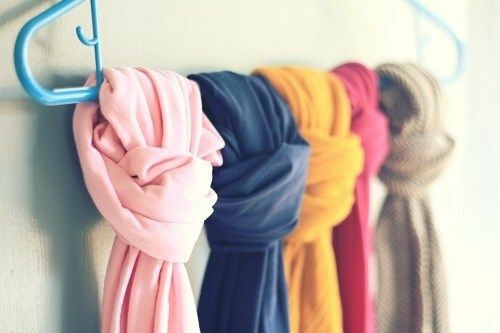 If you like to wear scarves then you probably have an extensive collection of beautiful scarves for every occasion. 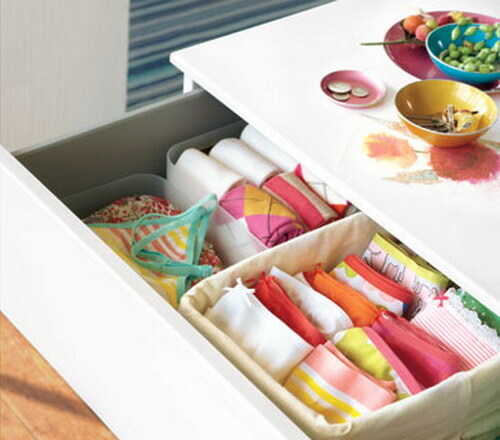 In order to organize this collection, you need a good storage solution for them. 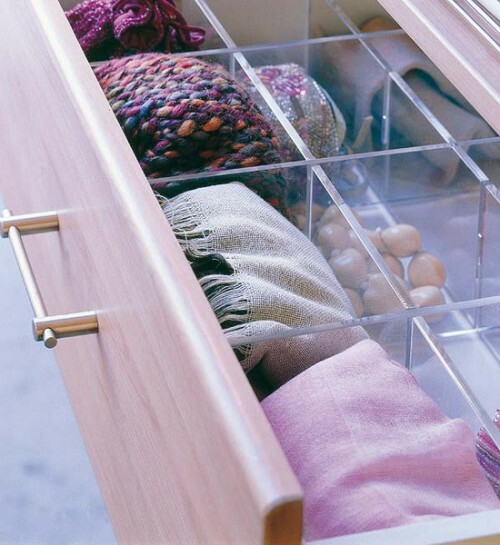 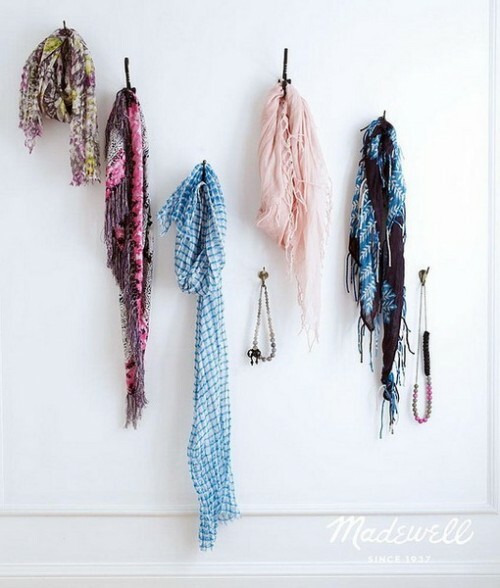 We’ve gathered for you a lot of scarf storage ideas you can use in different rooms, including different open shelves, compartments, boxes, hooks, chests of drawers, baskets, cloth hangers, and many other. 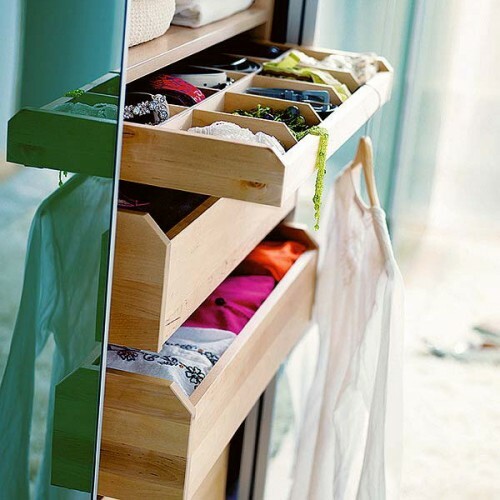 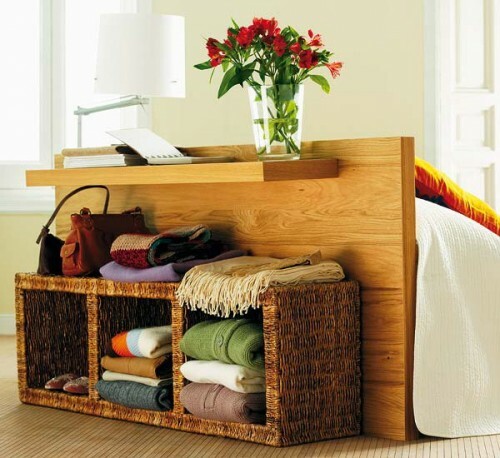 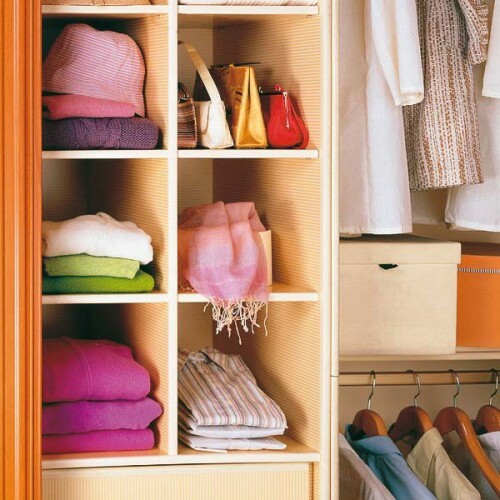 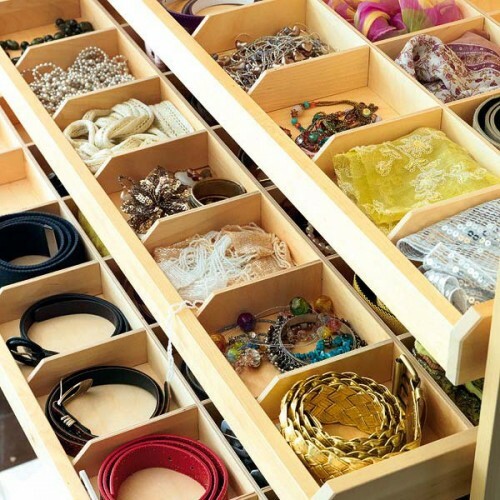 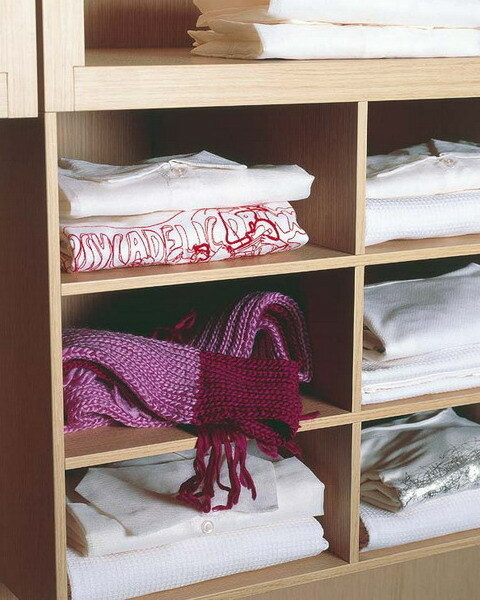 There are many different storage solutions for closets. 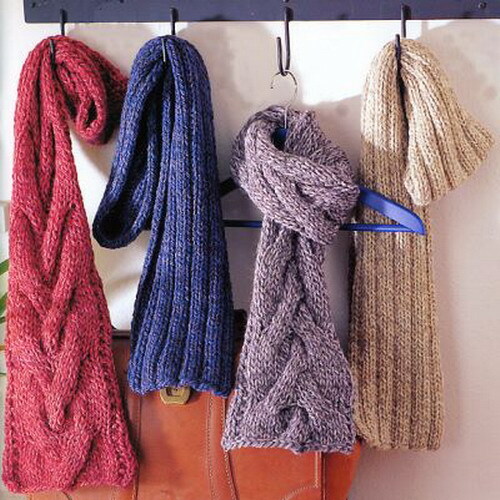 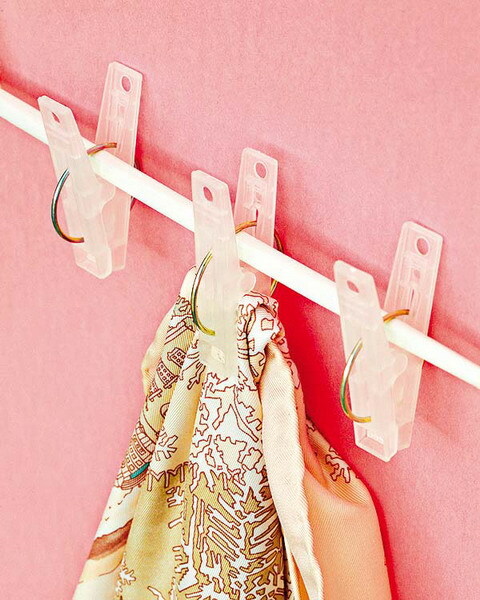 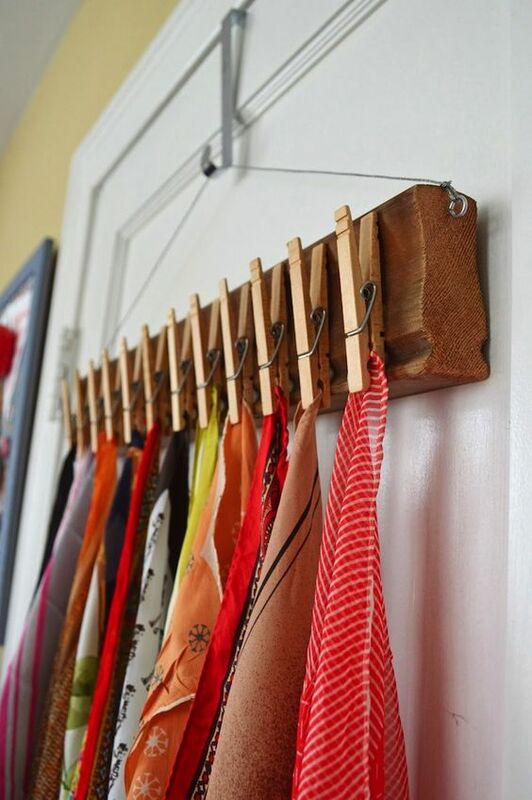 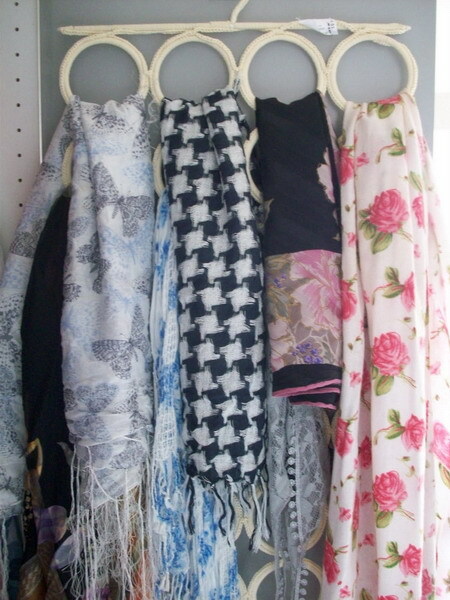 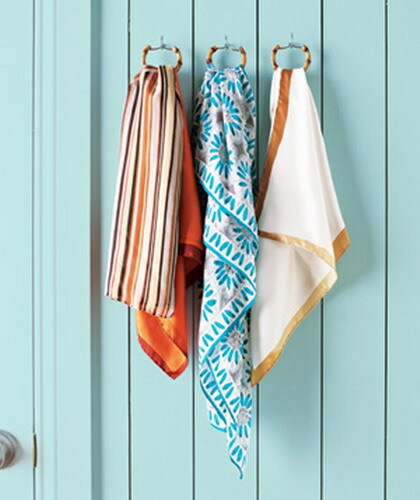 You can hang them from hangers suspended or knotted, organize in PVC pipes in a pull-out drawer, get a KOMPLEMENT scarf organizer from IKEA, use a sliding scarf hanger, fold them and display your scarves on closet shelving and so on. 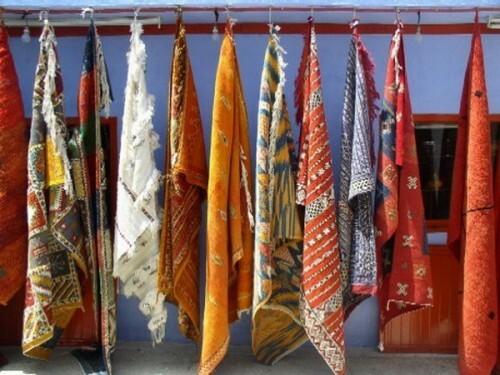 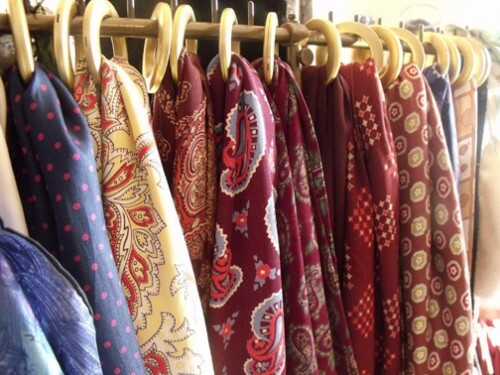 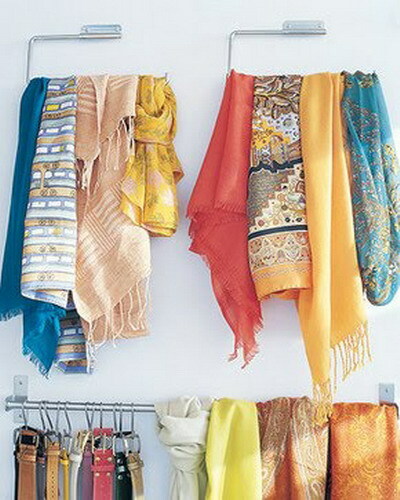 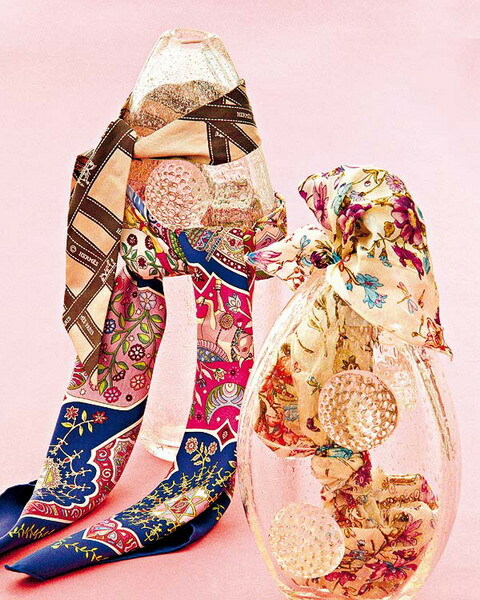 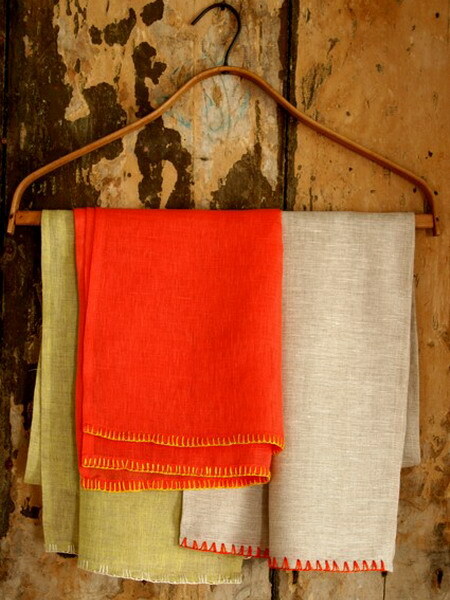 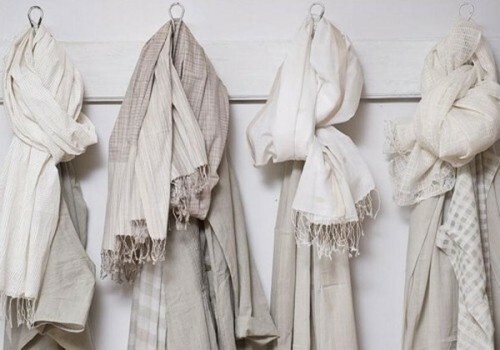 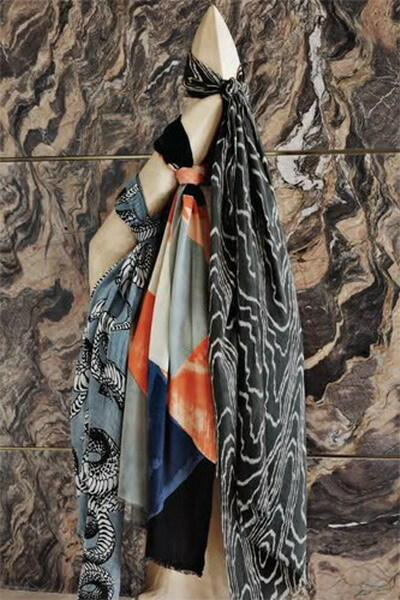 If you scarves collection is beautiful you might want to display it somewhere instead of letting it hide in a closet. 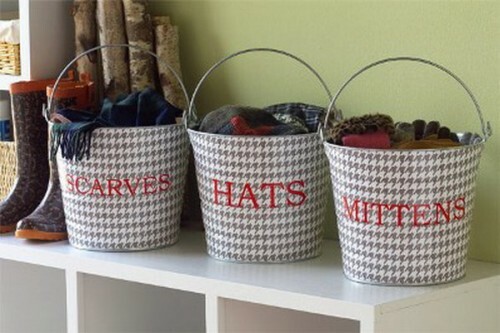 Boy, there are plenty of solutions for that. 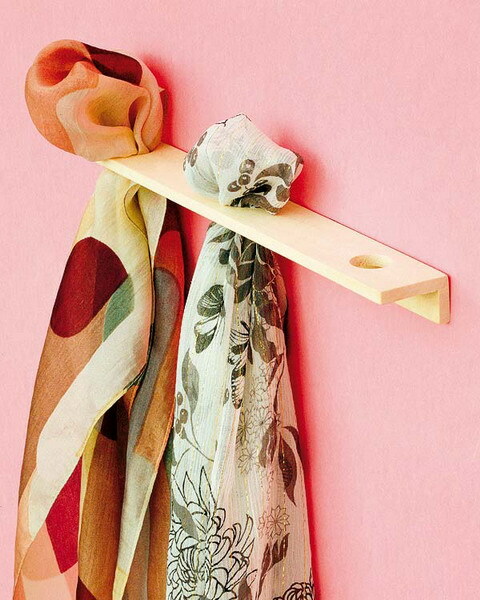 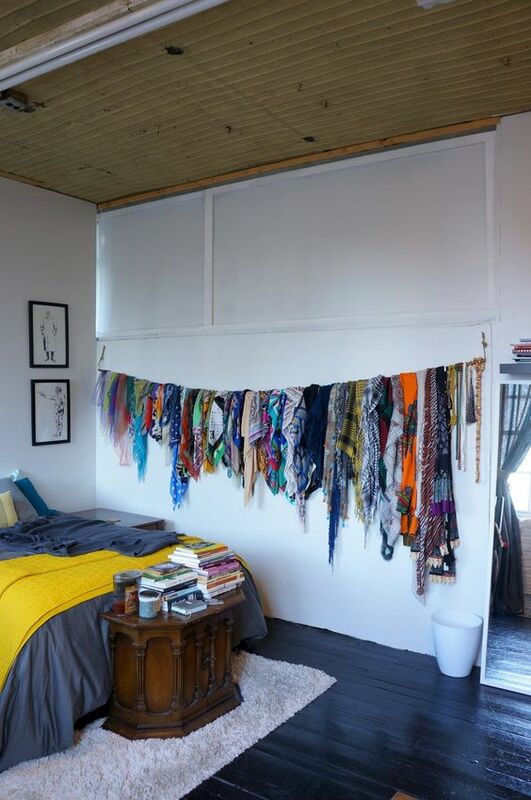 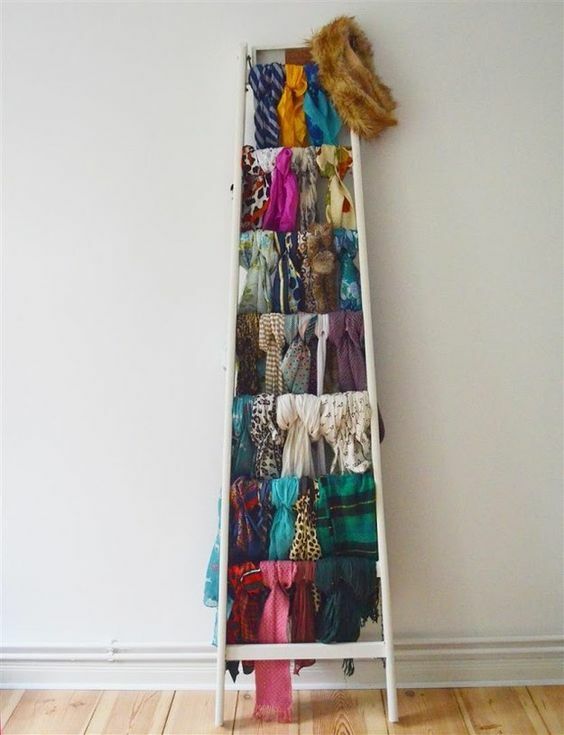 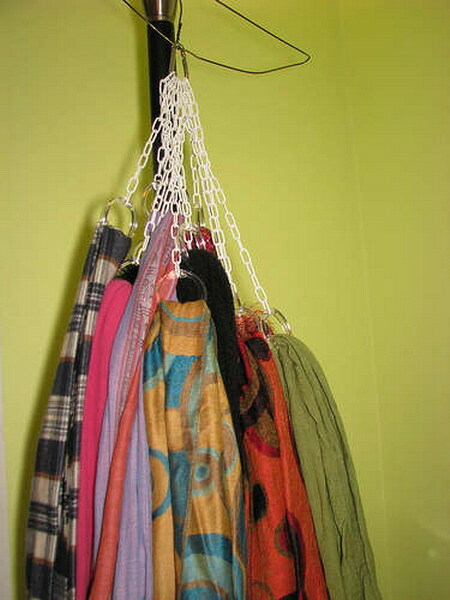 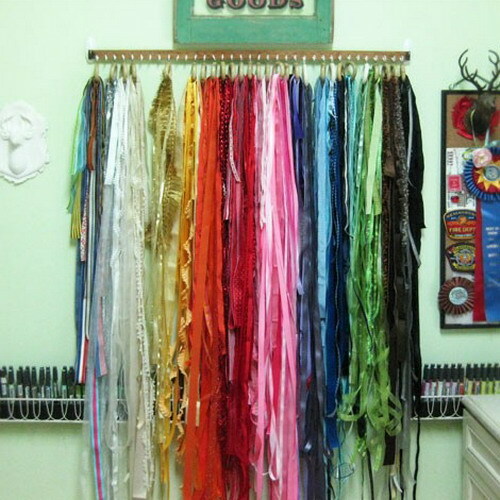 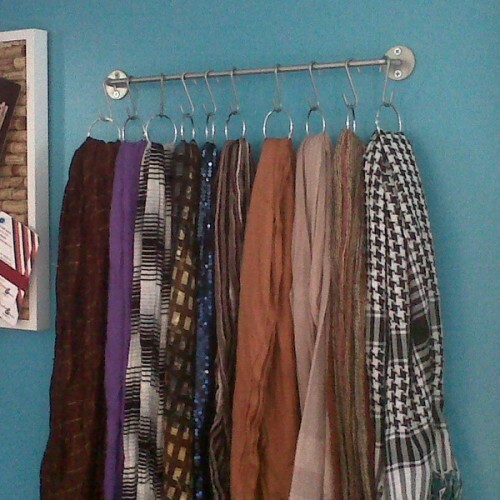 Ladders is an awesome DIY scarf storage that provides plenty of room for your scarves. 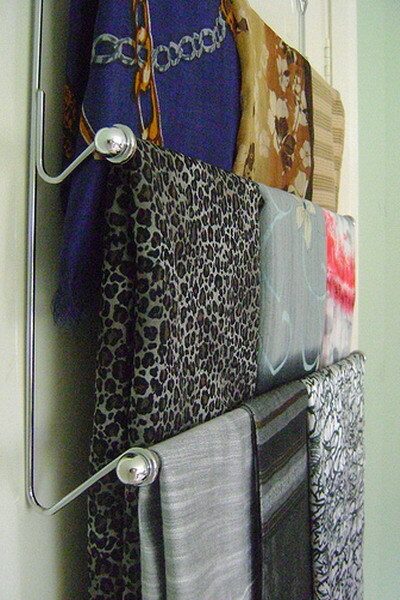 Displaying your collection on a wall is easy with different rods and hooks. 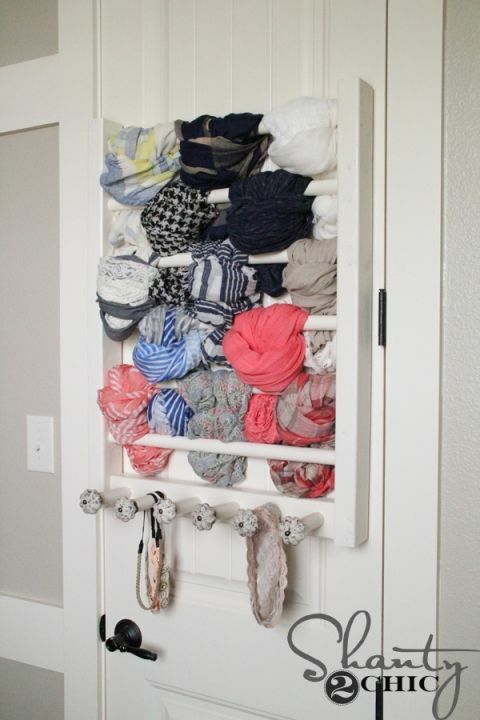 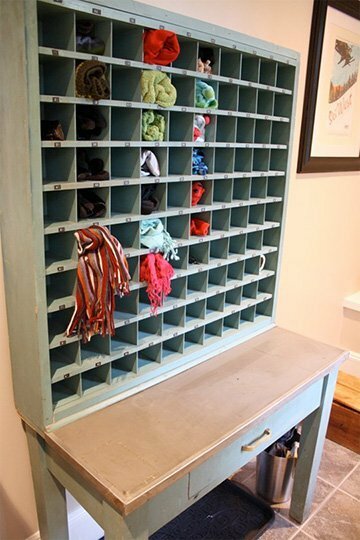 You can even fold your scarves and put them on an open shelving storage system. 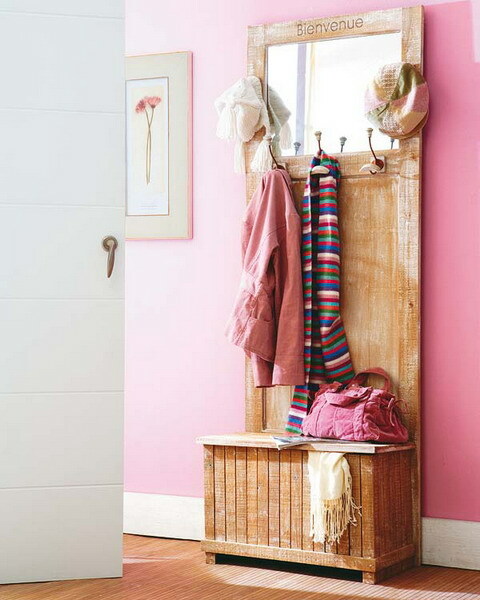 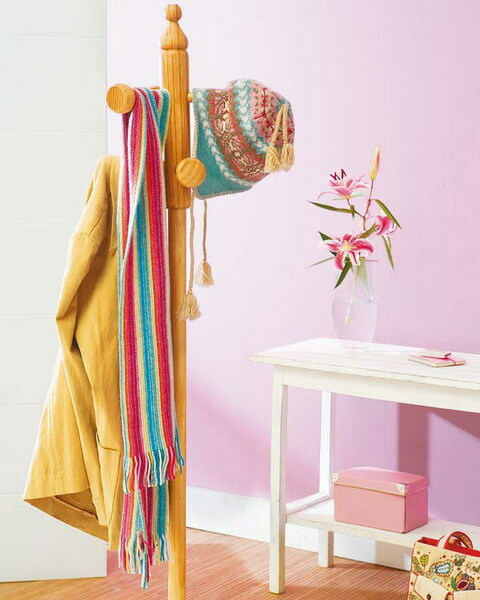 Thanks to several DIY ideas we have below you can even find a use for neglected space on doors. 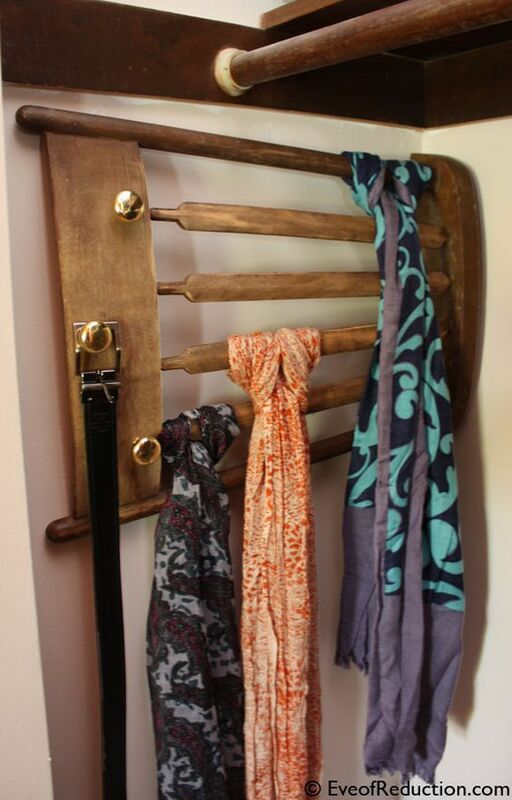 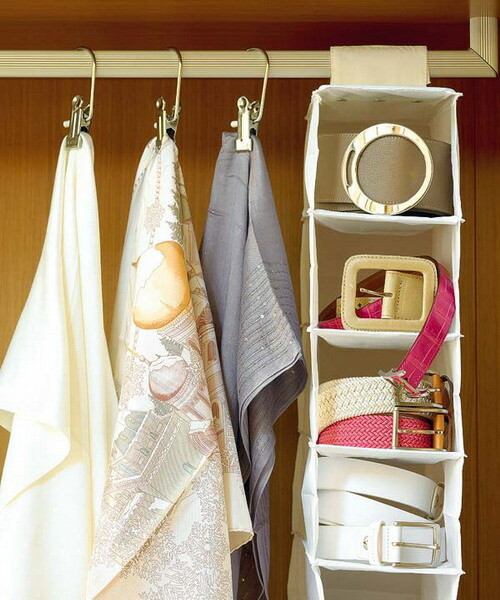 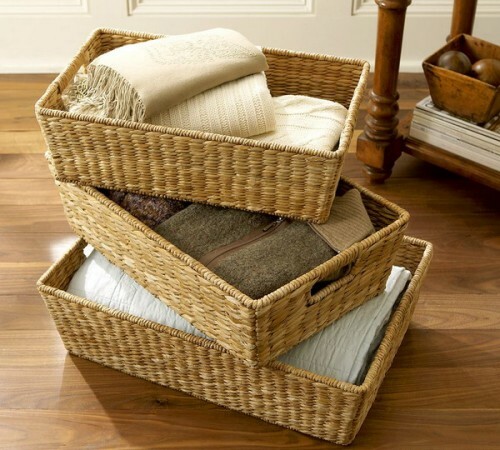 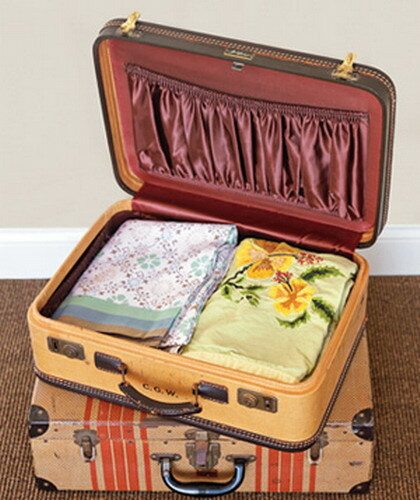 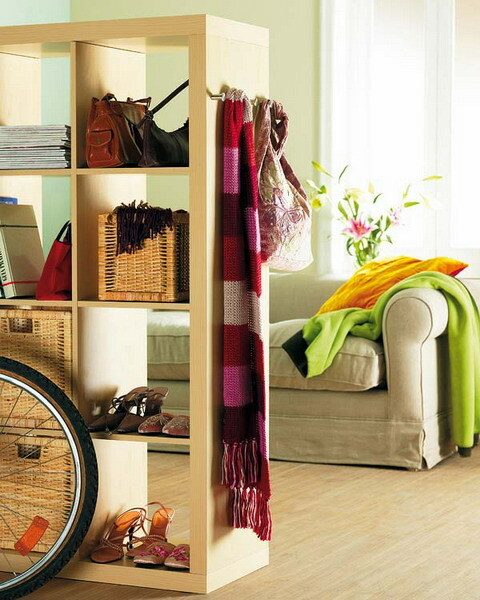 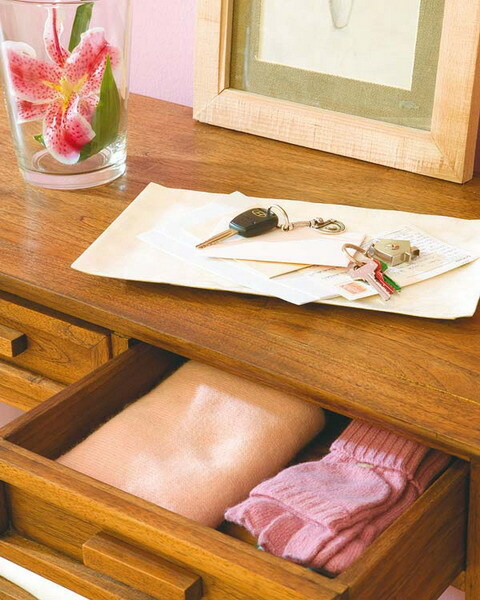 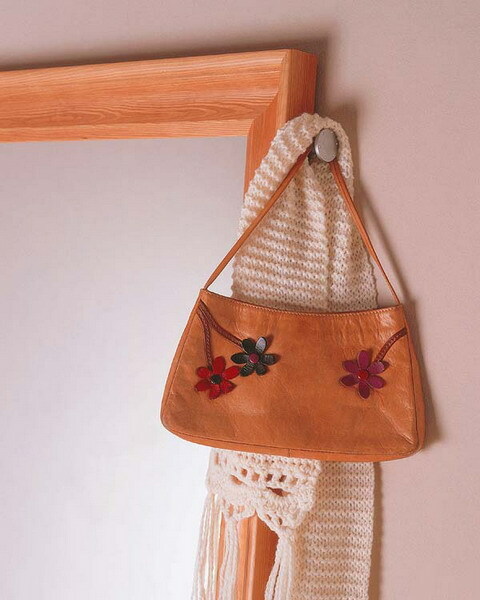 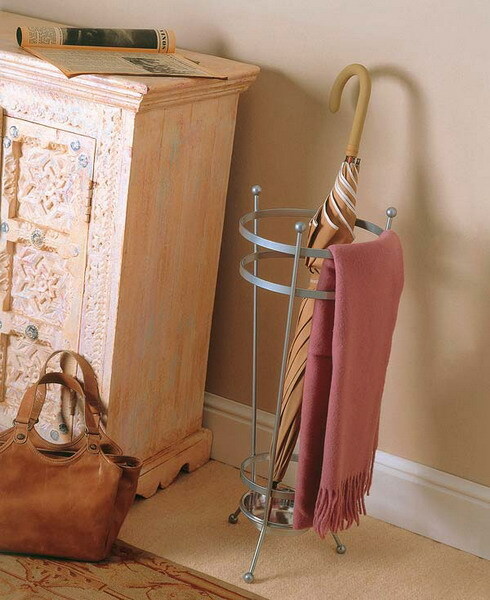 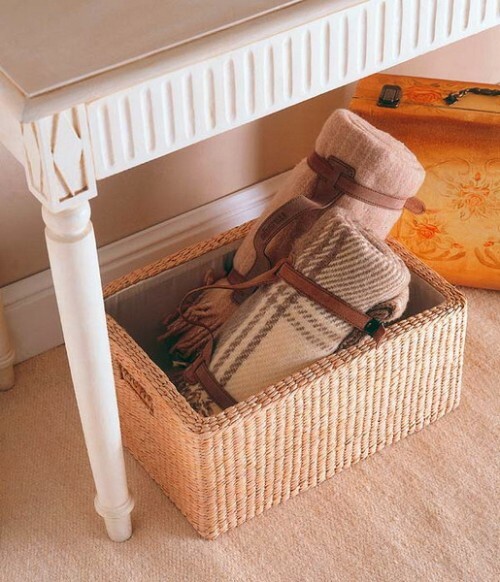 What can we say, you can find a scarf storage solution for every budget and every part of your home. 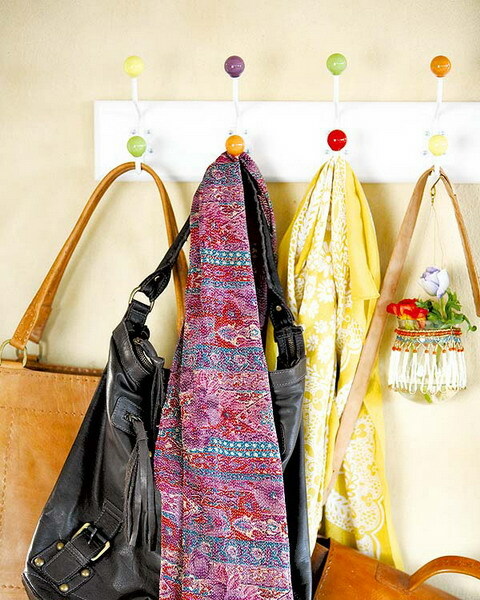 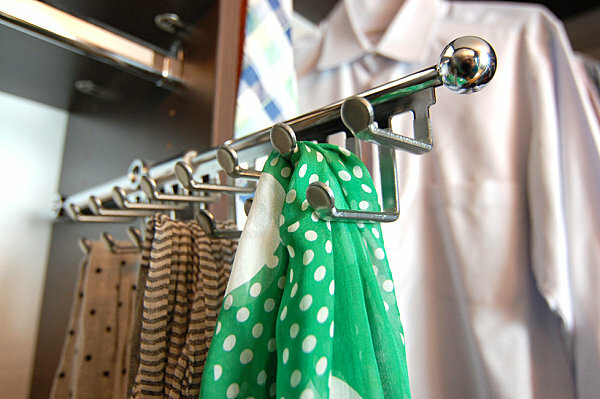 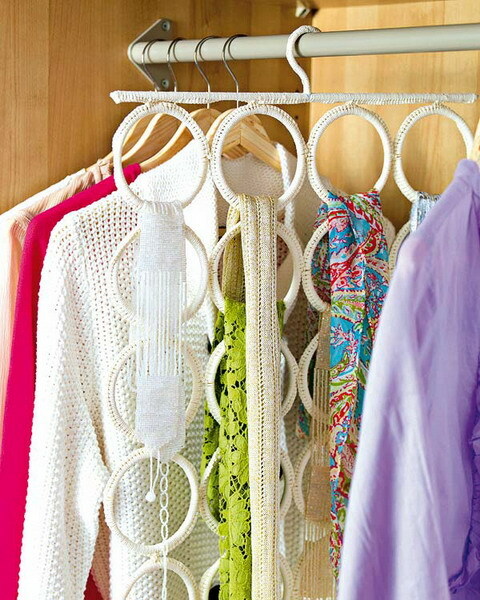 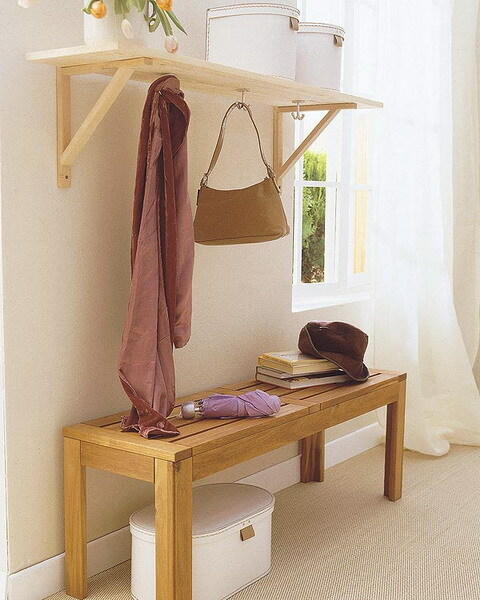 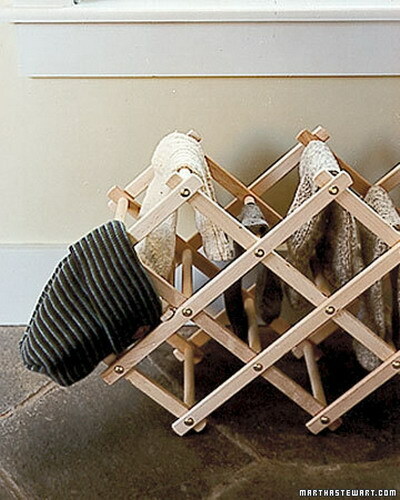 You can utilize a simple hanger or make a DIY storage rack. 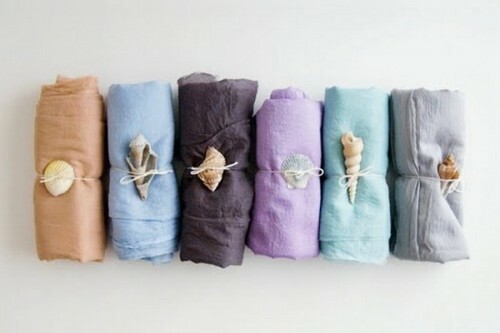 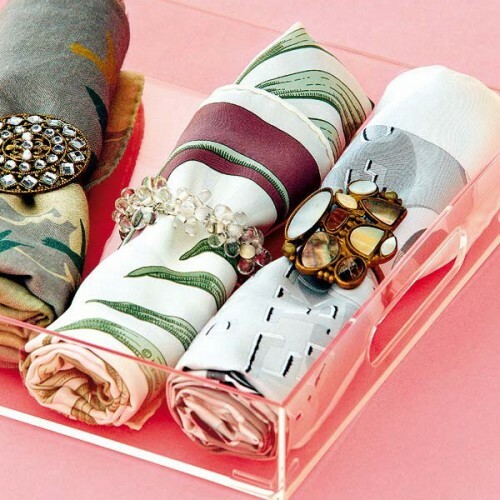 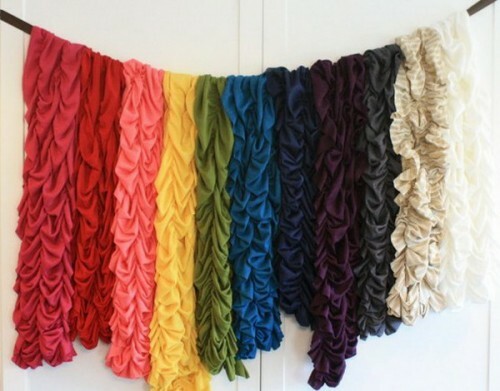 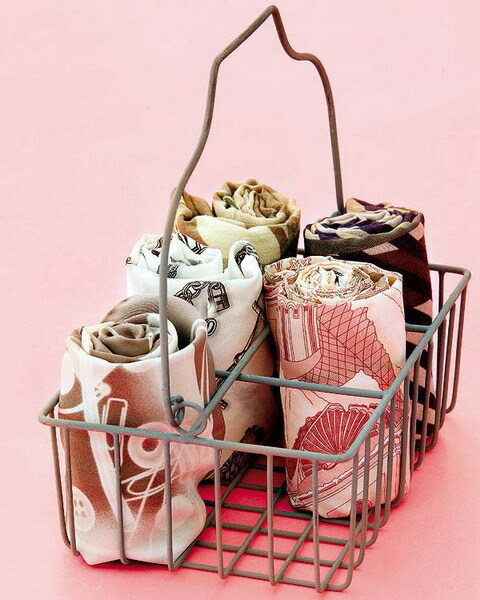 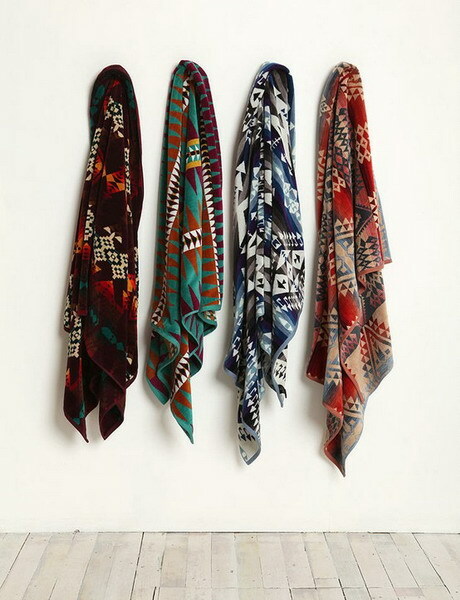 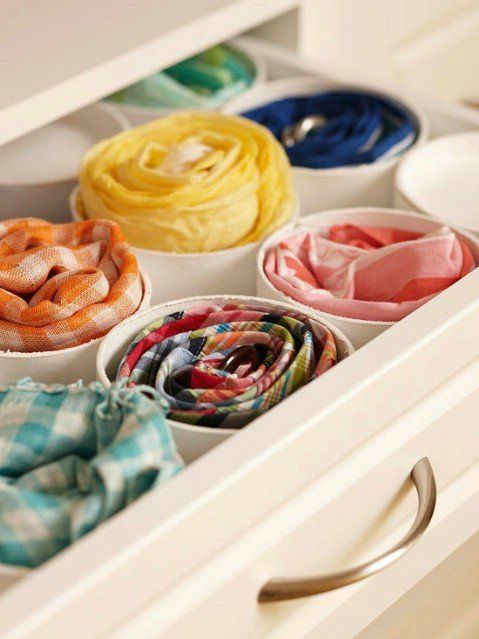 Start to organize your beautiful scarves today!